Light up your darkest nights with the ultimate power in the universe. 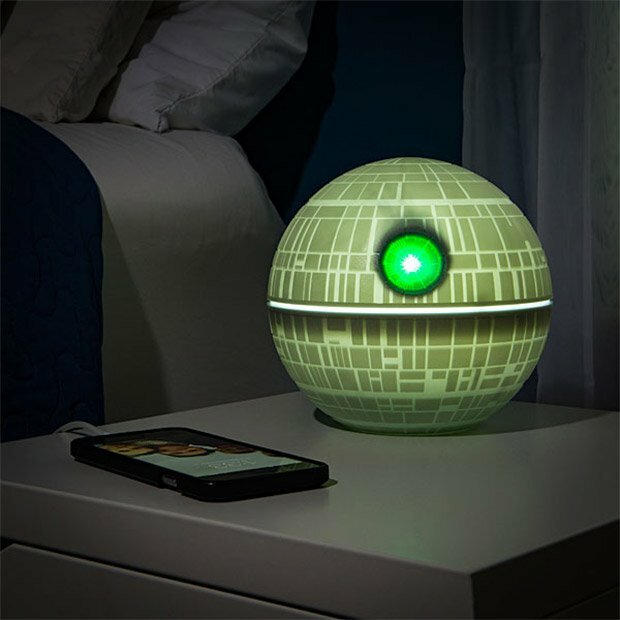 This 6″ Death Star will bring the a little light to the Dark Side of the Force – at least until the batteries run out. Glows white or red, with a green superlaser. There’s also a giant-sized version for $200.